In January, we brought a new concept to “air,” but you will not find it on your television. 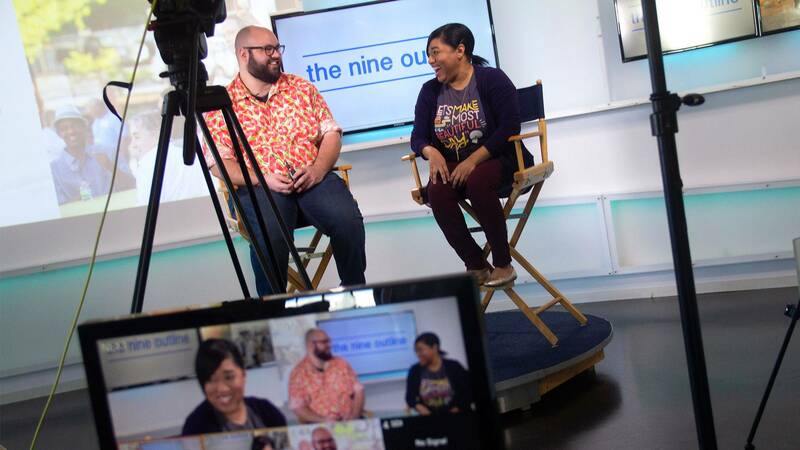 The Nine Outline is a new weekly program coming to you on Mondays at 9:00 a.m. on Facebook, so be sure to like our page. It is hosted by two Nine staffers from our Membership and Viewer Services department, Ernmardia and Sean, who happen to be huge fans of our programming. The show is improvised, but uses an outline to provide a rundown of the programs coming up on Nine PBS that week. The five-minute show is content-driven and welcoming, but fresh and a little edgy. “The show is conversational and genuine, we talk about things we know,” says Sean. The show welcomes viewers to our programming in a unique way. “I am proud to be representing the station,” says Ernmardia. --Article from March/April 2019 issue of nineMagazine.